Sleeping bag liner preserves your sleeping bag clean and free of body oils and also increases its thermal efficiency. It also increases the comfort of the minimalistic sleeping setup. Another benefit is that it allows you to wash your sleeping bag less frequently and decreases the degradation of the sleeping bag’s insulation. In hot weather, the liner also protects you against bugs and mosquitoes. The best thing about the items is its versatility, which makes it useful both inside and outside a sleeping bag. So you could understand the importance of this item. As you are searching for the best sleeping bag liner, here you will find the best one for you! As an avid traveler or outdoor camper, you already know how essential this sleeping gear is! But finding the best sleeping bag liner is tough. Because the sleeping bag liners came in different sizes and made of different materials to match different geological conditions and personal preferences. So, if you are going to spend the night outside of your home, it is best to have a good sleeping bag liner. So here you will have all the information related to the best sleeping bag liners. 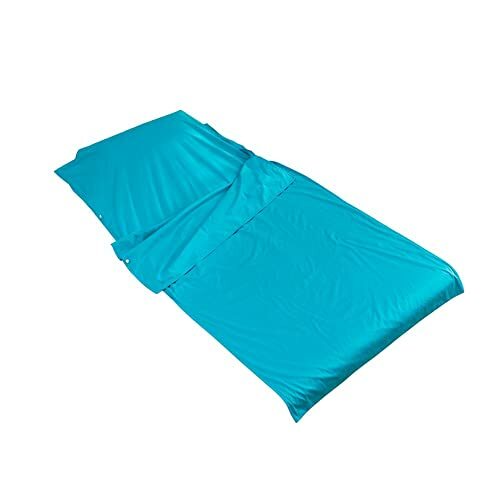 This sleeping bag liner comes from a company that has been producing backpacking and hiking equipment for years, and their products are very reliable. The Thermolite Mummy Liner is the best option when it comes down to warmth. Other sleeping bag liners tend to provide less insulation than desired, but this liner has the best insulation. You can take some layers off if it gets too hot. 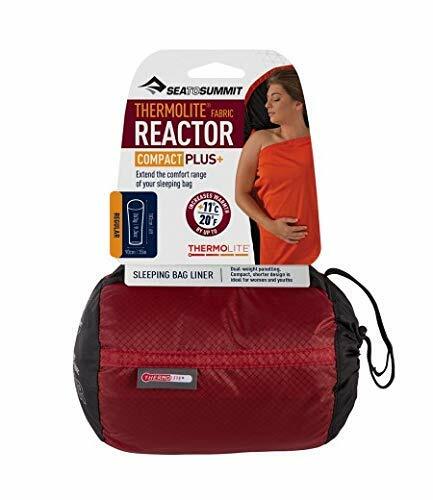 The Sea to Summit series offers the most comprehensive breadth of warmth options, and the Reactor Extreme is their warmest offering among favorite bag liners. 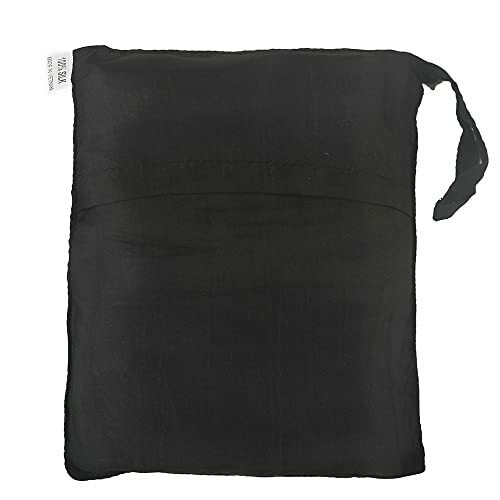 This best sleeping bag liner weighs just 14oz and can add up to 25degrees of warmth to your sleep system. It is an excellent choice for a light summer blanket or addition to extending the usability of your 3-season bag. It is worth noting that this bag liner will not provide much warmth as a standalone blanket. It is comfortable to no lower than 60 degrees by itself. This Sleeping Bag Liner is made from Polyester, but it offers you an option like a silk liner for a sleeping bag. You will feel the liner silky against your skin, and it will keep you fresh and clean in any sleep setting by protecting it from bacteria, sweat and bed bugs or any pest. The Friendly Swede liner available in a large size of 41x 86 inches (105 x 220cm) and even has a pillow pocket. You can easily stretch your arms and legs on any bed you are sleeping on. The side 60cm (23″) side zipper opening makes getting in and out of this liner super fast and straightforward. 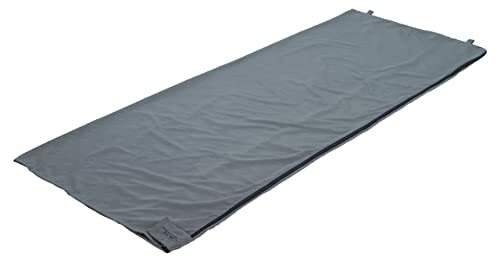 The ultra-lightweight Friendly Swede Travel and Camping Sheet Sleeping Bag Liner weighs only 237 grams or 8.35 ounces. It is very compact and lightweight that you can easily pack up your liner and place it inside your backpack when you are ready to and transition to your next location as it saves space in your backpack. This liner is the best solution if you have specific skin sensitivities and this will help you sleep soundly. Packs down to a tiny 6×8 inches and weighs only 8.35 Oz. The Marycrafts sleeping bag silk liner is made of 100% plain weave mulberry silk handcrafted by Vietnamese handicraftsmen, an ideal option if you prefer pure materials. The liner comes in a few different colors to suit your preferences. It can be used in both hot and cold weather, and it is effortless to keep clean and dry. It will increase 5 Degree for your sleeping bag temperature in cold weather; it is cool enough as well for hot weather as silk is more cooling than cotton and other materials. 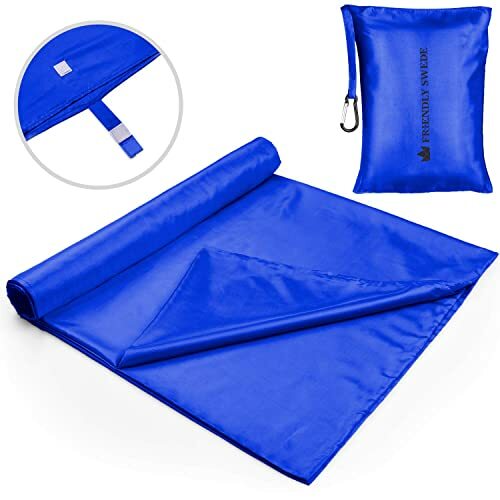 The size of the liner is 83″x33″ that will cover your whole sleeping bag or space, including your pillow, but it can be folded into a 9×6.7 inches to fit into its carry bag. The liner is very soft and breathable, yet durable, making for a comfortable way to sleep for many trips to come, will provide you with a luxurious experience. This liner will keep you fresh and safe from bed bugs at hotels or any other place and also warm as you travel to new locations on air-conditioned vehicles. The Fox Outdoor Products Poncho Liner is a brand new wet weather poncho liner made of 100 percent nylon material manufactured by Rothco comes in both solid color and military-style camouflage designs to suit your preference. The liner is uniquely designed which makes great insulating blankets for camping, hiking, hunting, or any outdoor activity. Unlike other poncho liners, there is no hole cut out in the center in it as you might think; instead, this is a solid quilted blanket. The Fox Outdoor Poncho Liner measures 21-61inches suited for average size people. It is a decent choice for a relatively soft, warm camp blanket that is useful in all weather conditions. The nylon is relatively soft and comfortable, and the thin layer of insulation feels adequate to keep you warm down to 50degrees or so. The blanket can be folded into a pack and squished down to about the size of a large water bottle or slightly larger. It is relatively lightweight at 1.5lbs, which makes it very easy to carry for your transition from place to place, you will barely notice the weight. In those regards, it should make a decent summer camp blanket. The Outry Travel and Camping Sheet, Sleeping Bag Liner/Inner comes in three different sizes and six different colors to suit your preferences. It is made of 100% high-quality cotton option that will keep you sleeping comfortably throughout many trips to various places in different climates. You will have best sleeping experience if you plan to choose the OUTRY liner or another cotton liner for your time in the tropical region, you will likely find yourself sleeping with the liner alone in the warm conditions. The Outry Travel and Camping Sheet, Sleeping Bag Liner/Inner has underneath pouch to cover the pillow, and the front sheet can be folded back to refer to the top of the quilt and is very flexible in that it can be used to cover a whole sleeping bag, including the pillow. The Zippered bottom with one side entirely sewn, another side opening with clips allows it to fold into a reasonably compact bag to add to your backpack. It is effortless to clean; you do not need to worry about cleaning it often. This liner is available in both double & single sizes and comes in a variety of colors and patterns. Unlike other liner listed above ALPS Mountaineering Brushed Polyester Rectangle Sleeping Bag Liner is different as it is made of synthetic MicroFiber materials, cotton version is also available. Therefore, it is heavier weighting 11 ounces or 311 grams but also much less expensive compared to other liners available. Furthermore, it’s microfiber provides better warmth and durability. It is available only in one size (33″ x 80″). 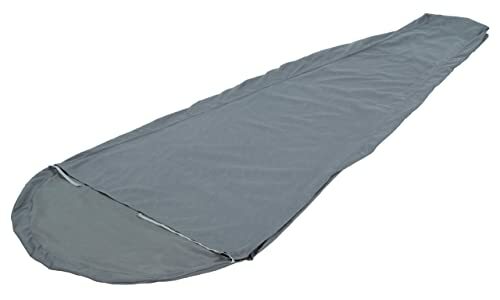 The ALPS Mountaineering Brushed Polyester Rectangle Sleeping Bag Liner is designed for use with a mummy sleeping bag. Using it inside your sleeping bag will keep away dust, bed bugs, and other pests, and will not have to clean your sleeping bag frequently. The liner is made of soft, durable brushed polyester material is used throughout making the liner easy to clean and comfortable. It comes with 5-separating zippers make zipping and unzipping quick and easy and includes a stuff sack so that you can conveniently pack it without adding extra bulk to your baggage. 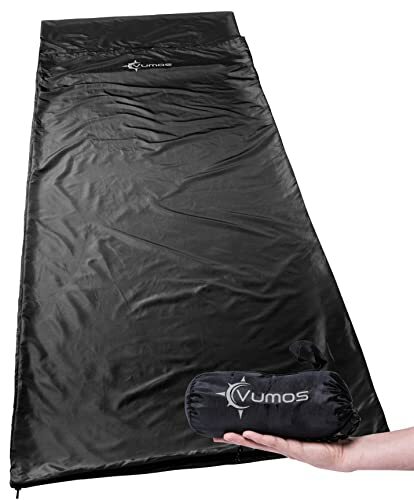 The Vumos Sleeping Bag Liner liner measures 85 inches (216cm) long and 33.5 inches (85cm) wide, has sufficient room for tall or big people without having excess material that makes you uncomfortable. The liner made of 100% Polyester fabric with a silk-like finish, so the soft, breathable and lightweight fabric feels great against your skin. It also has a pillow pocket at the top that is 33.5 inches (85cm) wide and 11 inches (28cm) high where you could stuff a rolled up your apparels and use as a pillow on the road. Comes with a zipper that runs down one side and across the bottom, so you can fully unzip the liner to make a large sheet. You can easily to pack up your liner after use in the small stuff sack that comes with the liner, and you carry it in your backpack. The liner measures only 7.5 inches (19cm) long when packed and weighing 11.5 ounces (330 grams), so it is very lightweight and will not take up much space in your backpack. If you do not like the liner for any reason, no problem, you can return it for a full refund, or they will replace it instantly if you have any issues as the Vumos Liner offers a full guarantee. Packs down to 7.5 inches and 11.5 Oz. 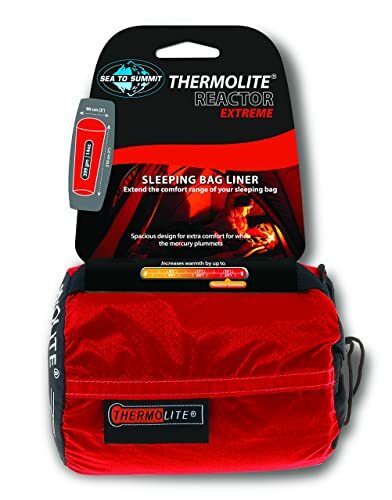 The Thermolite Reactor liner is Sea to Summit top seller in the sleeping bag liner range uses use hollow core Thermolite fiber to add extraordinary warmth for its weight and remains extremely breathable yet lighter in weight and more compact than fleece liners. It adds up to 15°F degrees of warmth to a sleeping bag and is an excellent freezing weather option for those who need additional heat. 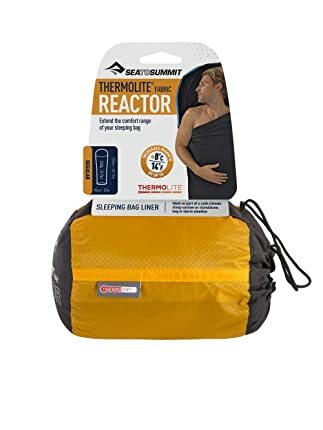 The Sea to Summit Reactor Thermolite Sleeping Bag Liner is knitted 80g/m² THERMOLITE fabric which is a super soft, stretchy, and comfortable choice with a mummy shape, foot box, and a drawcord hood. Its hollow-core fibers trap fresh air for insulation. 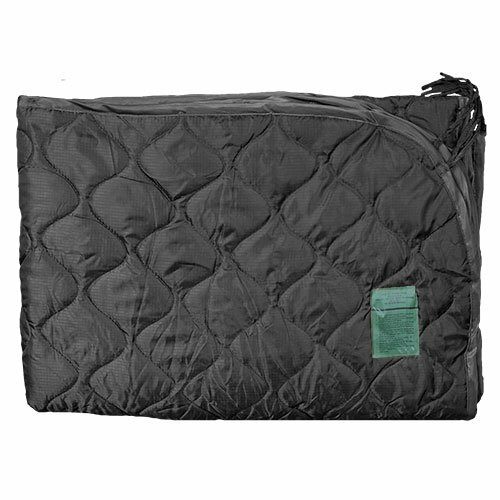 It is compact and lighter weight than fleece; this is a top seller for a good reason. The Thermolite Sleeping bag is effortless to clean, and you do not have to worry about its durability even after years of usage. It weighs just 9 oz. while folded, packs into its 3×5 inches stuff sack of silicon nylon which is very convenient to carry while in transition. Packs down small and weighs 8.7 oz. The Sea to Summit Reactor Plus Compact Thermolite Mummy Liner uses dual-weight Thermolite fabric. It combines conventional 80g/m² material with panels of Thermolite fabric in the core body and also in the foot box areas that adds additional warmth. Its ergonomic mummy design also shaves off any excess weight, making this liner ideal for gram counters under 6 feet tall. The Sea to Summit Reactor Plus Compact Thermolite Mummy Liner hollow core fibers are incredibly insulating and trap heat effectively work like the fur of a polar bear. Depending on your environment and conditions, it will increase the warmth of your sleeping bag considerably. Besides, it will keep your sleeping bag clean, and you can wash it easily. The ALPS Mountaineering Brushed Polyester Mummy Sleeping Bag Liner is made of high quality Brushed Polyester fabric measures 32″ x 86 will add extra warmth or to protect the inside of your rectangle sleeping bag. The liner will significantly extend the life of your sleeping bag by minimizing washing and will also protect the inside of your bag from dirt and grime. The polyester fleece makes ultra-light and easy to carry without adding a ton of bulk to your backpack. The cleaning of the liner is effortless; you can throw in the washer for cleaning. The rectangular shape fits inside mummy or rectangular bags, and the polyester fleece provides warmth without adding. Moreover, you can add ALPS Mountaineering MicroFiber Camp Pillow for more comfort when you want to get a good night sleep. It compacts into a drawstring stuff sack, so it doesn’t take up much room. This article covered some of the most preferred sleeping bag liners used by the pro climbers, campers, and backpackers. So in this article, we tried to present variation in size, shape, and materials to help you find what you are looking for. Any best sleeping bag liner from our list is light and efficient enough to carry as well as to use for a long time being. We hope this review helped you to find the top liner suited for your requirements.